I have just revised and reprinted my 12-page booklet. Click here to download a free PDF (A4 size). 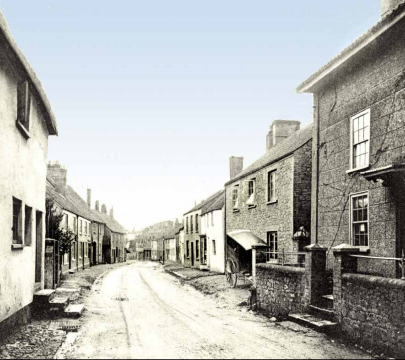 The first print run of 1,000 copies, A5 in size, was available FREE to walkers and visitors to Stowey and the Quantock region, and lasted just three months. The reprint is available free at Nether Stowey library, the Parish Council offices, Stowey Post Office, and in the old gaol by the clock tower.